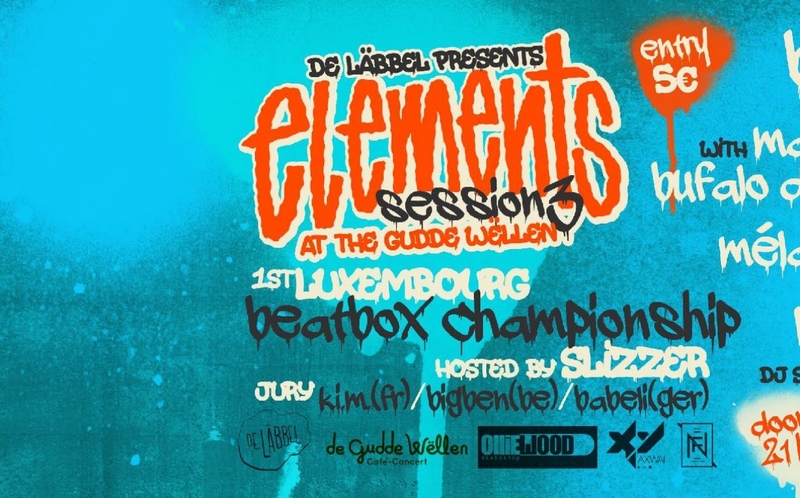 Let De Läbbel be your host for round 3 of the ELEMENTS Sessions! The concept is all about guiding you through the different elements of Hip Hop, all brought together in one night. This edition is also a really special one, we gonna have the 1st national beatbox championship of Luxembourg, so don't miss this one! !